There is no better example in Brazil to illustrate the maxim "Not knowing that it was impossible, he went there and did it" than the story of John Baptist Sérgio Murad, our Beto Carrero. 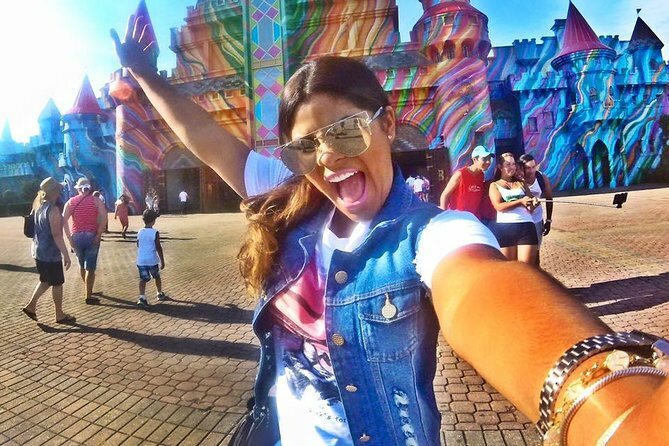 BETO CARRERO WORLD, A DREAM THAT DOES NOT STOP GROWINGAfter a visit to Disney Park in the United States, the dreamer Beto Carrero decided to turn the dream into reality and build with its own resources the largest and most incredible multi-thematic park in Latin America. He sold all he had and acquired an area in the municipality of Penha, located in a beautiful part of the Santa Catarina coast. Today, calling Beto Carrero World amusement park is limiting the grandeur of the enterprise. And to check all this beautiful history of struggles and achievements, nothing better than a ride. So, come on. We are waiting for you. Beto Carrero World is the largest theme park in Latin America, located in Penha, Brazil. The park opened on December 28, 1991 and is considered to be one of Santa Catarina's signature amusement parks with a complex of fourteen kilometers divided into nine theme areas.